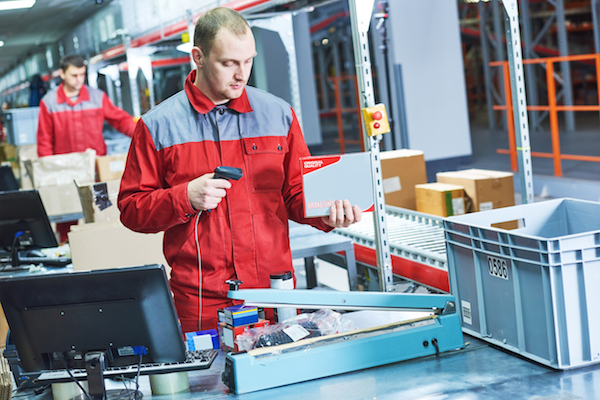 When considering the implementation of a new Warehouse Management System, most IT specialists think automatically in terms of the complete package—software and scanners. Naturally, it pays to make sure the two are maximally compatible so as to guarantee seamless connectivity. That voice may be onto something. Why invest in new scanners when there are already perfectly functioning units in place? Especially when the cost of the new equipment can range anywhere from $200 to over $1,500 a unit! Certainly, it could force a purchasing agent or even a business owner to reconsider the overall need for a new WMS. Take control and ask what the Warehouse management software is capable of. Here are a couple examples of what you might want to know. Are there Android and iOS native Apps for your current devices? Is the software capable of working with the ever-growing proliferation of warehouse scanning devices? Can logic be implemented in my scanners and can it be integrated to the software as a custom feature? No matter what the WMS needs of a business may be, having that one resource that can provide a seemingly endless list of compatibility and integration options. Compatibility with the systems and devices used today, including PC or Mac, Android or iOS, mobile or desktop. Easy Integration with Shopping Carts, accounting/payment processing software, shipping companies, and EDI partners. Connect to printers and scales to allow for automatic printing and scale readings when shipping. Compatibility with all major web browsers and email clients for notifications sent directly from the application, including Google Chrome, Internet Explorer (Version 10+), Safari, and Firefox. Can I create a Pick Scan Scheme, a set of scanning requirements for picking items to fulfill orders for the purpose of precision and efficiency of your scanning? If you are, indeed, ready to incorporate new scanning equipment, we have a few recommendations here! Whether you purchase new scanning guns or choose to use your current equipment for now, we’ll work together to help execute this transition with as little disruption as possible. Your success, is our goal!